Written on December 19, 2017 . Posted in Uncategorized. Jonathan Highfield (Professor, Literary Arts and Studies) gave a presentation at the 3rd Annual International Conference on Food Security in Cape Town, South Africa on 3rd December, 2017. His talk, entitled, Food: The emptiness of displacement and the satiety of community, was part of a symposium on the social and cultural life of food. 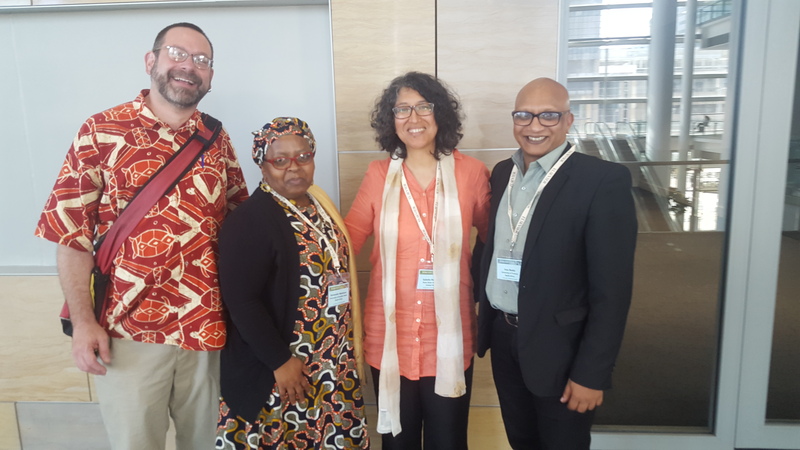 The other participants were Vasu Reddy from the University of Pretoria, Gabeba Baderoon from Penn State University, and Relobohile Moletsane from the University of KwaZulu-Natal.